All Coupons and details are believed to be accurate, but we do not warrant or guarantee such accuracy. The Coupon shown above may vary from region to region, as will incentives, and are subject to change. Call or email for complete Coupon specific information. Not valid with any other offers. All Coupons and details are believed to be accurate, but we do not warrant or guarantee such accuracy. The Coupon shown above may vary from region to region, as will incentives, and are subject to change. Call or email for complete Coupon specific information. Complimentary Front And Rear Brake Inspection. What we will do. We will inspect all major brake components, such as brake rotors, brake pads and shoes, and brake lines. 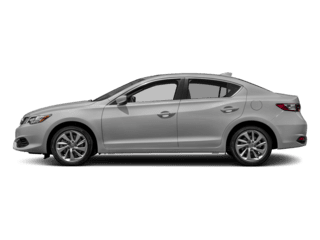 Did Your Vehicle Not Come With A Remote Starter? 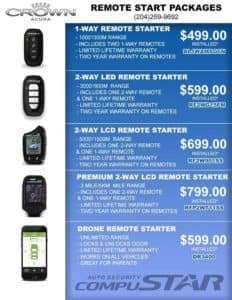 We Can Install Starting From $499.00 *Most Cars. Contact dealer for more details. 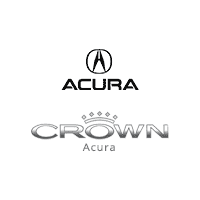 For quality automotive repair and maintenance, look no further than the Crown Acura Service Department. Our team of experts are here to help with anything you might need, from tire rotations to automotive repair. We work hard to get your vehicle fixed and back on the road quickly. Most importantly, we work efficiently and charge a fair price. Here’s a summary of some of the many common projects we work on. Brakes are the most important part of your vehicles safety. Brakes that are working properly allow brake pads to press against the rotor and slow down and stop your vehicles wheels with ease. Over time, as the caliper rubs against the rotor, these parts will wear down and can sometimes go undetected. Have your brakes tested by our service technicians regularly. The length of performance may be determined by driving habits, your environment, or the material of your brake rotors or pads. A clear indicator to get your brakes changed is when hear a high-pitched squealing noise when you apply your brakes. At Crown Automotive Group, we review the condition of your brake pads, discs, rotors, caliper, shoes, hydraulics, brake fluid, and get your vehicle back on the road. Schedule a Brake inspection today. 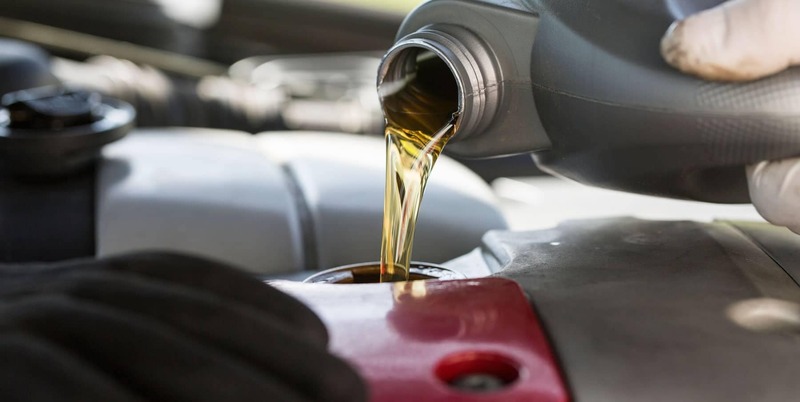 An oil change is the removal of old motor oil and replacing it with new motor oil. Oil lubricates the engine to prevent the friction, and wearing out of engine parts. Over time, it loses that ability and gets dirty. If you avoid a vehicle’s oil change, not only does it result in more problems for your engine parts but it will also lead to expensive engine repairs in the future. Getting fresh oil will once again help absorb that heat, cooling engine parts and avoid overheating. 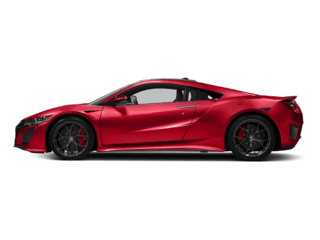 The battery is primarily needed to start the engine but also provides the electrical energy necessary for ignition, electrical lighting, radio, computer and other car accessories. It’s your maintaining power source whenever the charging system is not operating or cannot carry the excess loads. Regular battery maintenance helps prolong your cars battery life. Keep your engine starting properly with a battery inspection, inspection, or replacement from Crown Acura. 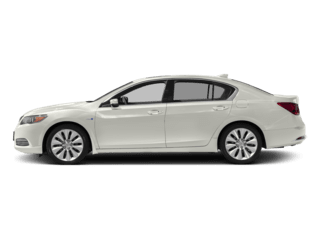 Express Service gives you the convenience of fast service along with the quality and value you expect from Crown Acura. By using special processes, tools, and equipment, our trained technicians can service your vehicle in less time than it used to take. We know you’re busy so you’ll appreciate the speed of Express Service and the competitive price. What’s more, you’ll have the satisfaction of knowing that only experts will work on your vehicle. Many of the services you need most are available through Express Service. Contact us today! The car’s transmission works to transmit the right amount of power from your engine to your wheels to travel at the speed you desire. 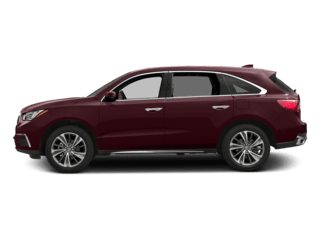 The importance of the transmission’s changes power and speed, is how it reduces the load on the engine, while increasing the vehicle’s speed and fuel economy. The health of your transmission allows you to drive at maximum efficiency. 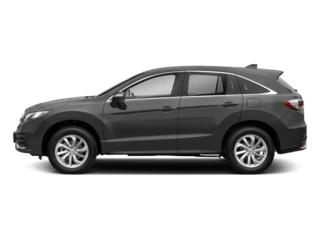 Have your vehicle looked at by the automotive professionals at Crown Acura. Contact us for any service deals and schedule your appointment today. A muffler reduces the noise level produced from the exhaust process and the exhaust system removes toxic gases and fumes safely out of your vehicle. The muffler will eventually wear out. Have your muffler & exhaust looked at by the automotive professionals at Crown Acura. Contact us for any service deals and schedule your appointment today. Your vehicle’s air conditioning system cools the interior of the car and removes humidity out of the air. They are closed loops with a high-pressure side and low-pressure side. The high-pressure side starts with the compressor pumping refrigerant gas into the condenser. It becomes a liquid, goes into the receiver-dryer that removes the water and proceeds to the low-pressure side. The Thermal Expansion Valve (TXV) is then used to regulate flow, reduce pressure and temperature then continues to the evaporator to have heat absorbed. A fan then blows the cool air into the vehicle. The car heater heats up the vehicle and to defrost the windshield and other windows. It is a smaller version of the cooling systems radiator. A fan that is positioned in front of the heater core takes in cold air from outside and blow it over the fins. It flows over the heater core, heats up and blows out the hot air through your vehicle’s air vents.